Dearing & Hartzog, L.C. is a general civil practice law firm serving the community since 1968. The firm's attorneys can help you with a variety of legal issues, including real estate law, business law, civil litigation and estate planning. Dearing & Hartzog, L.C. is located in Clayton, Missouri and represents clients throughout the St. Louis area. The professional staff of Dearing & Hartzog, L.C. is currently comprised of two "principals" and two attorneys who serve in an "of counsel" capacity. The principals are Theodore D. Dearing and Deborah Carter Dearing. Robert L. Hartzog and Peter J. Merideth are of counsel. Chris Robertson and Katie Wactor are the firm's administrative assistants. Dearing & Hartzog, L.C. 's general civil practice includes, but is not limited to, the following areas of the law: -Civil litigation -Business law -Business formation -Buying and selling of small businesses -Business litigation -Wills, trusts and powers of attorney -Estate planning -Commercial and residential real estate -Guardianships and conservatorships Clayton law firm with a solid reputation: Dearing & Hartzog, L.C. was established in 1968 by James E. Dearing, Jr. (1928-2001) and Robert L. Hartzog. Its principals, both current and former, have all been AV Preeminent Peer Review Rated by Martindale-Hubbell, the highest recognition possible in the legal industry, for their professionalism and ethics. The attorneys at Dearing & Hartzog, L.C. take great pride in delivering high quality, cost-effective legal services. Missouri attorneys can help at any stage of your business: The lawyers at Dearing & Hartzog, L.C. can help you regardless of the status of your business. They assist new business owners in choosing the appropriate corporate entity and can also assist owners buying and selling existing businesses. If you have a business issue that requires the knowledge and skill of a lawyer you can trust, contact the attorneys at Dearing & Hartzog, L.C. Whether you are designating how your affairs and finances will be handled in the event of your disability, or establishing support for loved ones upon your death, Dearing & Hartzog, L.C.can help with all aspects of trusts and estates issues, including: -Estate planning -Wills -Living Trusts -Powers of Attorney -Guardianships and conservatorships -Health Care Directives and Powers of Attorney for Health Care (Living Wills) -Choosing the appropriate personal representative or trustee -Estate tax issues Securing your legacy: You work hard for your family, so knowing that you have planned for their long-term well-being and financial security can bring you comfort. The lawyers at Dearing & Hartzog, L.C. thoroughly analyze your estate and strategize the best means of transferring your assets, establishing guardianship for your children, caring for your pets, supporting personal philanthropic causes and protecting your loved ones. Draft your last will and testament and/or trust: Your last will (and a living trust, where appropriate) provides the opportunity to distribute your property, establish care for your children and otherwise express your wishes upon your death. A will or trust (or appropriate forms of beneficiary designations on assets to the extent you have assets with respect to which such designations are available) is necessary if you intend to leave property to a person or entity other than a spouse or blood relative, such as a friend or a charity. If you die without estate planning, state law dictates how your property is distributed, and a court determines who cares for your children - making decisions that might not reflect your wishes. The firm can draft valid estate planning documents that accurately reflect your intentions. Changing your estate plan: As your life changes, so might your estate plan. You may need to update your will, trust or power of attorney throughout your life. Dearing & Hartzog, L.C. can draft valid revisions to your estate planning documents or new documents that address changes in your financial situation, marital status, number of children, philanthropic interests and general lifestyle decisions. Appointment of a guardian or conservator: If you have minor children, your will allows you to express your wishes about their future care, and to provide a mechanism for funds to be used for their care. This is especially crucial if you are a single parent or if both parents die in a common incident. If you do not name a guardian, the court will appoint a guardian for your children and can make decisions adverse to your ultimate parenting goals. If you do not provide for the establishment of a trust or other mechanism for the handling of the funds you leave for the care of such minor children in the event of your death, the court will appoint a conservator to administer the funds, and expenditures for such minor children will require court approval (all of which will also involve the payment of administrative costs). Dearing & Hartzog, L.C. can also assist you if a guardian or conservator is needed for an elderly or disabled adult. Theodore ("Ted") Dearing has earned an AV Preeminent Peer Review Rated by Martindale-Hubbell, the highest recognition possible in the legal industry, for his professionalism and ethics. Although it is somewhat rare in today's environment, Ted continues to maintain a "general civil practice" and does not specialize in any one particular area. After approximately 30 years of practice, this enables him to identify and address many issues clients raise that a specialist might not recognize or be able to resolve. 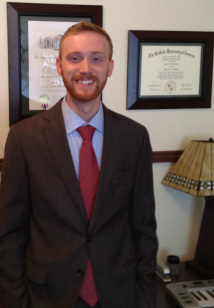 Ted assists both individuals and business clients with a wide variety of civil litigation and other legal issues. He has extensive experience in all aspects of estate administration, including probate estates, guardianships and conservatorships. He can also address general estate planning needs, including the drafting of trusts, wills and powers of attorney. A significant portion of his practice involves working with businesses in connection with their formation, review of contracts and other business issues. 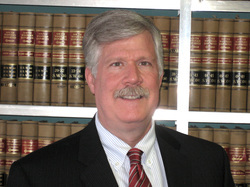 Ted is also experienced in handling divorces, child custody and support disputes and other family law issues. Deborah Carter Dearing has earned an AV Preeminent Peer Review Rated by Martindale-Hubbell, the highest recognition possible in the legal industry, for her professionalism and ethics. 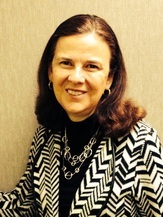 Deborah concentrates her practice in the real estate, business law and estate planning areas. In her early years of practice, Deborah was with the St. Louis law firm of Thompson & Mitchell (now known as Thompson Coburn). She was a partner there when she left to join Dearing & Hartzog on January 1, 1992. She has extensive experience in real estate matters, including property acquisitions and sales, refinancing and leasing. Deborah has worked with many businesses in connection with their formation, acquisitions and dispositions, mergers and reorganizations, and other general corporate and business matters. In addition to her real estate experience and her work with small businesses, Deborah also assists individuals with their estate planning needs, including the drafting of trusts, wills and powers of attorney. Washington University "Award for Excellence in Oral Advocacy"
-Garden District Commission - Board Member, 2011 to present. -St. Margaret of Scotland Church - Music Ministry, Communications Committee, and other lay positions.